The vaquita (Phocoena sinus) of Mexico’s Gulf of California is the most endangered species of cetacean in the world. This small porpoise is in immediate danger of extinction due to entanglement in fishing nets, and is listed by the IUCN as Critically Endangered. The prospects for this species to survive in the long-term will depend on how much we know about it and how we use that information to put strong conservation measures in place. Even if all gillnets are removed successfully from the vaquita’s range in the next couple of years, there is still danger of extinction. Current data is required to document the population’s response to net removal. Other threats have been identified too. It is important to monitor how the vaquita population fares in the face of these remaining potential threats. 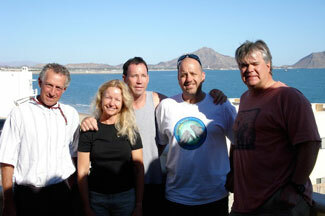 One of Cetos’s researchers, Dr. Tom Jefferson, is working with Cetos to study the vaquita. We conduct small-vessel surveys for vaquitas from a shore-base in San Felipe, BCN, Mexico. To read more about the specifics of this study; See Study Goals and Study Findings. 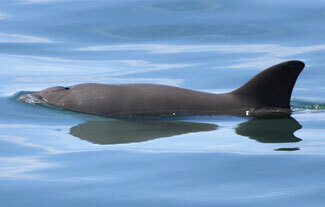 For more information on the Vaquita, please open this brochure. Thank you from the Vaquita!